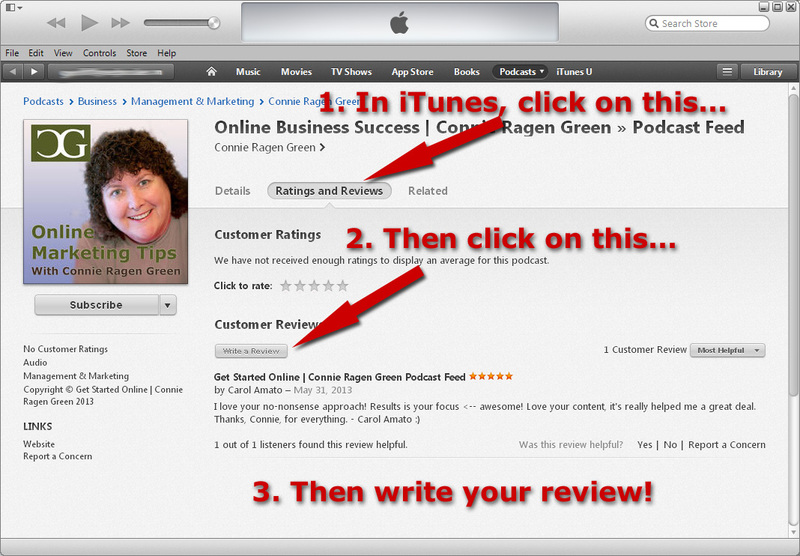 Podcast Shownotes | Are you leveraging the power of the podcasts to build your online business? I’m Connie Ragen Green and I’ve been online since 2006. In 2011, I committed to podcasting on a regular basis in order to share my knowledge and expertise with people all over the world. 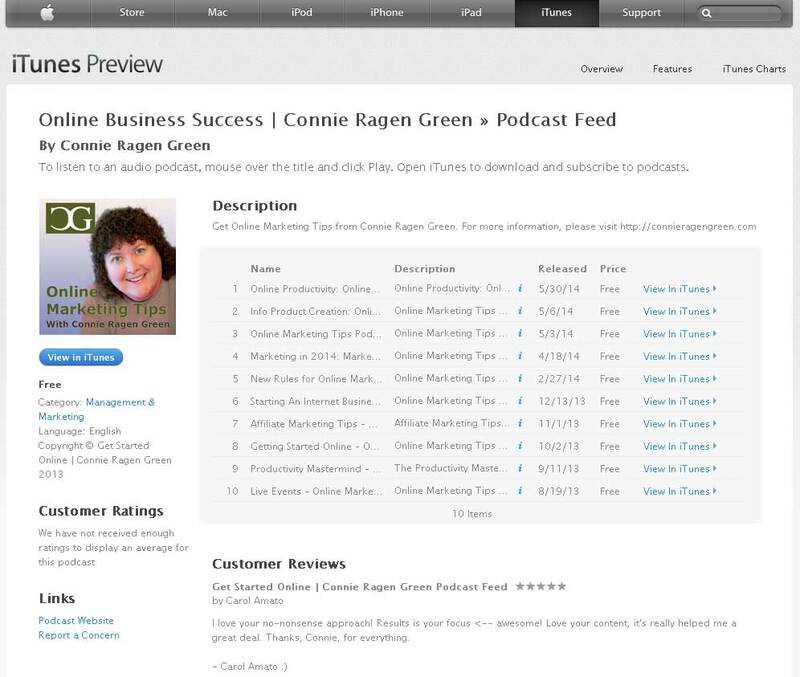 You are invited to subscribe to both of my online marketing podcasts absolutely free of charge. 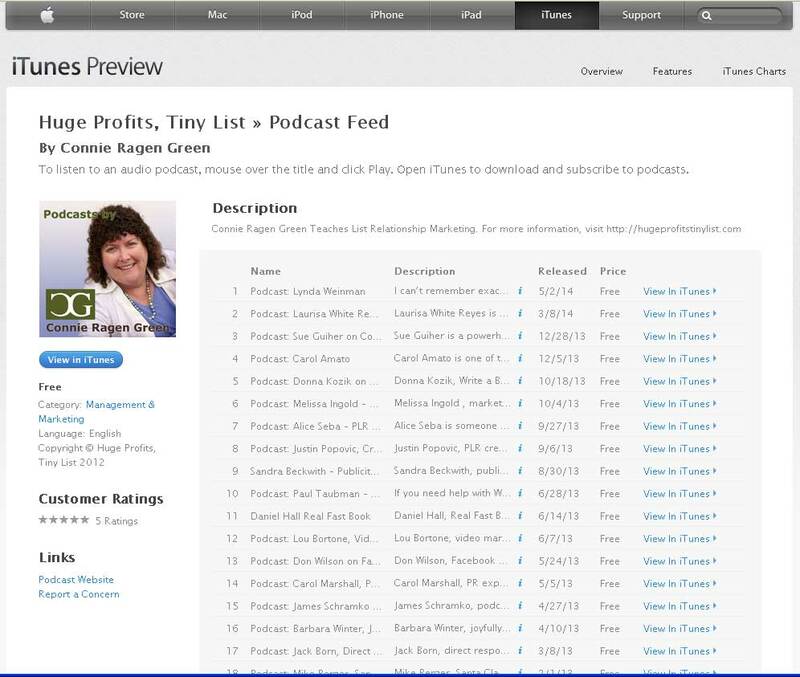 This podcast series includes interviews with some of the biggest names working online today. This podcast series is the regular training I provide for my students so that they have cutting edge information on how to best build their business on the Internet.